Liquid love for any food! 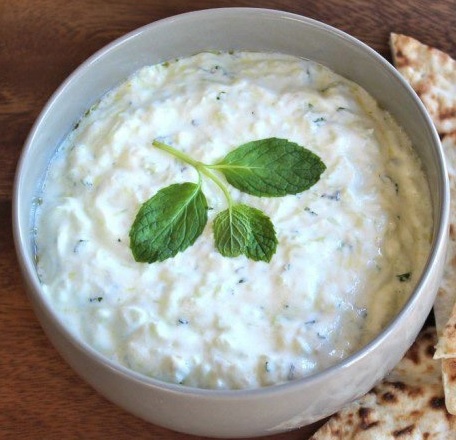 Tzatziki is a Greek sauce served with grilled meats or as a dip. Wrap the shredded cucumber in a kitchen towel and squeeze to remove as much water as possible. Mix together the yogurt, shredded cucumber, garlic, red wine vinegar, salt and pepper to taste, and lemon juice. Drizzle lightly with olive oil. Refrigerate for at least 30 minutes before serving to allow the flavors to blend.